It may seem like denim skirts have had a tragic fashion history but in case you haven’t noticed, fashion is a circular trend. Everything will always come back full force. So why not give this style another chance while they are back? 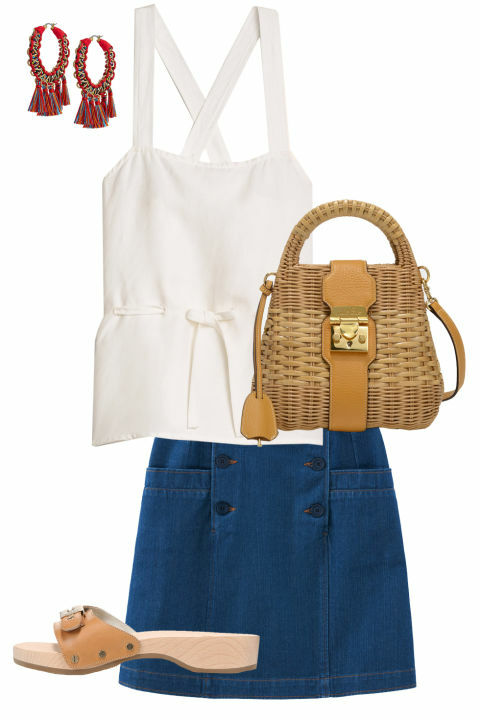 Here are 4 ways you can style denim skirts this summer. This is a good way to ease into the denim style if you are apprehensive about wearing a denim skirt. You can easily dress around it. Try a denim pencil skirt for those times when you are feeling casual. Pairing it up with a tank top and hat is perfect for that hot summer day. The mini will really make you feel nostalgic and bring you back to the 00’s inspired frayed hem mini skirt. Dress this sailor skirt up for a nice dinner outing this summer. It is a perfect trendy outfit for a summer outing occasion.